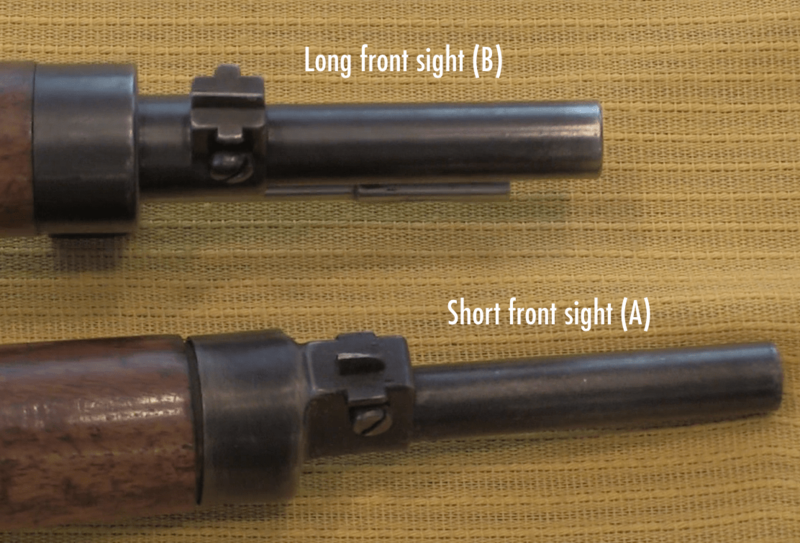 I recently had a chance to examine 4 different examples of the 1894 Mondragon straight-pull bolt action rifle. These rifles were the predecessor to the self-loading Mondragon design which would be adopted by Mexico in 1908 as the first such rifle adopted as a standard arm by a national military. The 1894 also has a rather interesting and unusual feature in the form of a 3-position safety. 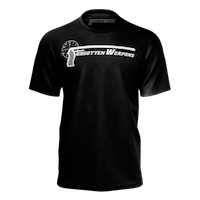 It includes typical “safe” and “fire” settings, and also a third position in which the rifle fires immediately upon the bolt locking closed, without needing the trigger to be pressed. This was intended to provide a high volume of fire from troops advancing on an enemy line – although obviously it wasn’t widely accepted as a useful feature. Anyway, while looking at 4 different examples of these rifles, a number of distinctive features became clear, allowing them to be divided into two distinct groups. In the interest of furthering understanding of these rifles, I would like to provide an explanation of those features, based on the 4 guns I just examined and three others which I have access to detailed photographs of. What can we learn from this about Mondragon development? Well, several things. These are not yet absolutely proven facts, but I would consider them pretty conclusive. SIG produced 1894 Mondragon rifles in two major variations, with separate serial number ranges. Early guns used a bolt cap which was overly complex, fragile, and expensive. It is faster to disassemble, but otherwise inferior. Late guns used a much simpler threaded bolt cap. At least 111 late-pattern guns were made. Judging by the opening in the magazine floorplates, the two variants used different clips. A solid metal bolt knob was tested at the beginning of the new pattern guns, but rejected quickly. At the same time, a locking catch was added to the new pattern guns to presumably prevent the bolt from being bumped out of battery. The initial 5.2x68mm cartridge was replaced with a larger 6.3x68mm cartridge in the new pattern guns. The old pattern guns use a rear sight with a folding leaf and separate battlesight notch, and this sight was replaced with a simple and more typical sight on the new pattern guns. Carbine-length examples were made of the old pattern guns. I have no example of a new pattern carbine, but examples might have been made. The rear tang marking was moved to the barrel shank on the new pattern guns. A Swiss-style stacking rod was fitted to the old pattern rifles, which was replaced by a cleaning rod on the new pattern. In general, the design was simplified between the old (IIA) and new (IIB) pattern. If you own a Mondragon bolt action or have photographs of one not included in this table, I would love to hear from you! I would like to add as many examples as possible to the table to further illuminate production changes. Email me at admin@forgottenweapons.com, and I will keep you thoroughly anonymous. Thanks! Ian, I don’t know about anyone else, but I can’t read the right side of the characteristics table because it’s covered over by the right ad column. Could you redo it as a .jpg? Eon you may also try making your browser window much wider. I tried all of the above and all it did was make the print too small to be legible. Wow, that table looked horrible – much different than in my writing tool. I replaced it with a jpeg. Thank you, Ian. Much easier to read. And here we thought “spray and pray” was a recent invention. Odd so that they didn’t add a large magazine to make this actually a useful feature. So apparently many possibilities were tested. I am not surprised that 5.2 was abandoned, considering bullet diameter (~.205) to powder charge ratio and 1890s metallurgy (see 6mm Lee-Navy for comparison) – barrel must have short life. has bigger bullet diameter and apparently sabot mechanism was abandoned, dimension-wise it is somewhat similar to Japanese 6.5 Arisaka however with shorter bullet. I am not sure how many of those variants are real versus mistaken. Was there really a 6.3 and a 6.5, or are they actually the same thing? I plan to talk to some ammo experts about this in a few weeks. According to the article I referenced below, there were two 6.5mm cartridges, a 6.5 x 48 and a 6.5 x 52. Photos in the article show them side by side; they are definitely two different cartridges. The author surmised that the longer 6.5 x 52 was developed as a result of field trials; the Mexican army test report quoted in the article states that test firing was done at ranges up to 1200 yards, with 78 rounds fired at that range and scoring 31 hits, or 40%. The testers were disappointed, but actually that’s a fairly good performance for individual rifle fire, over iron sights, at 1100 meters, even today. BTW, just to confuse things totally, the cartridge package label shown clearly says “10 CARTOUCHES pour Carabine Mondragon, CAL. 6m/m 50“. I guess it might be in fact 6.5 x 52 but someone consider that round numbers (6 and 50) just look better. Anyway cartridge designation are sometimes precise, sometimes less, sometimes there are just random generated numbers (see .327 Federal which nowhere has .327″). This is not a problem as long as each designation can be understand in one and ONLY one way. 5.2x67mm Original Mondragón (Polte, Germany)/ 5.2×67.7 Mondragón/ 5.2×68 Mondgragón/ 5.5×68 Mondragón/ SAA 0885/ XCR 05 068 BGC 010. Cartridge designed for the Mexican Mondragón rifle of 1894. The man: Manuel Mondragón was born in 1858 in Ixtlahuaca, in the State of México in Mexico. It is from the Nahuatl word “plain without trees” and is north of Toluca, some 32km from Mexico City. As an adolescent, he attended the military College of Mexico, specializing in the study of artillery. Later, upon graduating, he was sent to France where he graduated from the Military Academy of St.-Cyr. On his return to México he was named by President Porfirio Díaz as chief of military materiel purchases, commander in cheif of the Artillery and a professor at the military academy. He traveled various times to Europe on purchasing missions, which allowed him to Swiss authorities, including those of SIG–Schweizerisches Industrie Gesellschaft–Neuhausen for development of those projects that led, ultimately, to the semi-automatic Mondragón rifles. 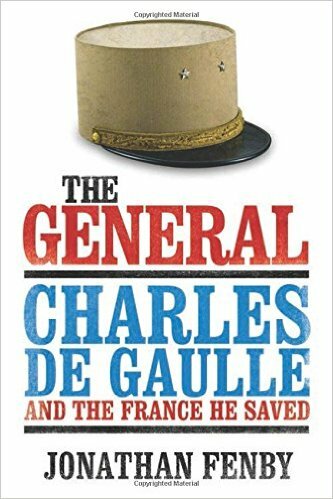 While staying/residing in France, he realized various projects, including design of a Mexican 75mm cannon, a weapon that was superior to the French, German and English models of the time, with a rate of fire of 21 shots per minute while similar artillery pieces averaged some 15 shots per minute. Furthermore, it was a more stable weapon, the adoption of which gave Mexico, thanks to Mondragón, the best 75mm cannon of the time/epoch/era. In addition, he developed/”authored” a project for a gigantic coastal artillery cannon with a barrel 40 feet in length. The 1893 rifle was the first weapon of this type designed by Mondragón. It was a very solid weapon of 6.5mm caliber that functioned by a repeating system/mechanism like an automatic, and which was adopted by the Mexican Army. He carried out various projects and designs of weapons, including both semi-automatic and automatics in various calibers, including 7.5mm. The government of Porfirio Díaz culminated in the Revolutionary year 1911, with Mexico plunged into violence and political convulsions. Díaz was succeeded by Francisco Madero and after a deposition from Mondragón that he was no longer a general [from the pre-1910/1911 army] he was [briefly] Minister of War. The Mexican Revolution drove him into exile in Spain, where he died in 1922 aged 74. The weapon and it’s cartridges: the model 1893 was built/fabricated in two caliberes, 6.5x48mm and 6.5x53mm both being very similar but with the different cartridge case lenghts. 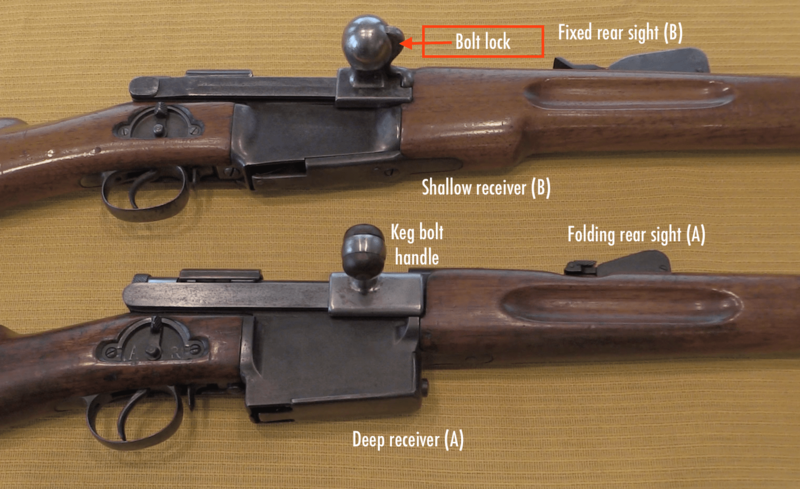 The shorter of the two was the original version, the other was developed due to the necessity to give greater power so the rifle could function semi-automatically. The rifle and the cartridges alike were all produced in Switzerland and used by the [nascent] German airforce in the First World War before the use of machine guns by aircraft and airships was common. The cartridge cases were made of bronze, with a projectile of 108 grains, lead encapsulated by hard metal, and using a smokeless propelent powder of German manufacture. The cartridge that is dealt with here for the 1894 rifle, was the most rare and most interesting of the family of Mondragón cartridges. It must be understood that it was a semi-experimental/ prototype cartridge and that it can be encountered in various forms, including variations of the length and types of cartridge cases, and other features. This cartridge was designed by the Swiss colonel Rubin, director of the ammunition factory of Thun, in Switzerland, in collaboration with Mondragón. The British patents No. 17.307 of 11 Sept. 1889 and No. 11.717 of 29 May 1896, both declared by Rubin, make mention of a cartridge for both a self-loading and a repeating rifle. The projectile had in the base a piston the same internal diameter as the cartridge case, whose function was to seal the gases and permit an improved performance of the high pressures the detonation produced/cartridge developed. For the rifle Model 1894, it is known that the following variants were produced: 5.2×67.5mm cartridge fabricated in the Polte factory in the German city, Magdeburg. Within the 5.2x58mm category, there were at least two variants with an extraction groove and another without it. [a rimmed cartridge?] The same charge of 48 grains of smokeless powder gave velocities of 2,650 feet per second. The bullets encountered [from samples] possess a weight of between 90 to 105 grains. Among the markings are T 12 A 94 indicating manufacture in Thun in the Swiss ammunition factory with elements from Altdorf, although the most frequent examples appear to be from Polte, Magdeburg. 5.2x71mm, examples generally marked by Polte, Magdeburg. 5.9x71mm, generally marked T 4 T 97 and T 6 T 99 indicating respectively, that these were produced in 1897 and 1899, with the other numbers indicating the month of production. Among the variants is an example/practice/inert cartridge. 6x71mm generally stamped T 9 T 99, fabricated in Thun, november 1899. 6.1x71mm encountered with stamps/case markings T12 A 94–built in Thun in December of 1894 with elements from Altdorf. These show variations in case, extraction grooves and projectiles. 6.3x68mm only found of Thun manufacture. Original Polte cartridge, partially sectioned, showing at the front of the interior of the cartridge case, the curious support of the projectile. […] Brass cartridge with a strong crimp and elevated neck angle. Armored bullet. This reproduction, built by M. Megret is inert. That “eyelash” or “tab” reference might be referring to the “piston” round’s “disc” attached to the base of the bullet. BTW, just to confuse things totally on caliber, according to the GOTW article, there was a prototype Model 1908 gas-operated autoloader in the Museo del Ejercito Mexicano, that was presented to then-President Porfirio Diaz. The article includes photos of it. Richly inlaid and marked with his initials, it had “Modelo Mondrgon” inlaid in gold on top of the barrel just aft of the front sight. Most ’08s were in 7 x 57, and some made by SIG-Neuhausen were in 7.5 x 55 Schmidt-Rubin. I’m wondering what other odd calibers the earlier bolt-actions might have shown up in. Aha, yes, that must be it. Supports the skinny and long bullet on chambering, and I’d suppose it also helped when the ammunition was stored in cartucheras/cartridge boxes and clips and so on… Expensive I’m sure. .30-30 was a popular cartridge in Mexico. There’s even an old Revolutionary corrido “carabina treinta y treinta” about the lever action. People often forget that in many ways the Mexican Revolution was a “pre-quel” to WWI. The use of railways resembled the U.S. Civil War perhaps. My understanding is that two North American pilots, both flying Curtis biplanes, one for the Carrancistas (“bigotes!”), and the other for the Villistas, traded pot shots with side arms in what would be the “first” aerial dog fight. Yep, true story. The movie “Villa Rides”, with Yul Brynner as Doroteo Arango aka “Pancho Villa”, had Robert Mitchum playing one of those pilots. His real name was Lee Arnold, he was from Gallipolis, OH, and he was my mother’s second cousin on her mom’s side. She told me he always had more guts than brains. Mitchum pretty much nailed his portrayal. Why design a firearm with a hole drilled in the barrel to shoot a peculiar caliber? states that 5.2×68 Mondragon was designed and patented by Colonel Rubin. Also, Mondragon and Rubin experimented with what were known as “piston” cartridges. These were bottlenecked rounds that had a “disc” attached to the base of the bullet inside the full-diameter section of the cartridge case. The bullets tended to have greater length/diameter ratios than usual, up to 6 or even 7 to 1. So a 5.5mm “piston” bullet would be roughly 33 to 38mm in length. The idea was apparently to launch a bullet with as high a sectional density and thus as low a coefficient of drag as possible to achieve maximum effective range and retained downrange velocity (and thus KE and killing power). At the same time, the “disc” was to prevent “blow-past” as the powder charge burned behind the bullet until it exited the case neck and entered the leade’, at which point of course the full force of the gas expansion would be sealed behind it in the bore. Theoretically, it should have worked that way. But the extra aggravation in manufacture (disc secured to bullet, then both loaded and case then necked down over same) probably wasn’t considered to be worth the effort. Although to some extent, it did point the way to the later “gas seal” or “silent launch” rounds developed for shotguns and some revolvers used by SpecOps units in the 1960s. If you have the old Petersen Publishing book Guns of the World (1972, reprinted by Bonanza Books in 1993), there’s an article on Mondragon and his rifle designs that includes both patent drawings and cutaway example photos of the “piston” cartridges. Relevant patents are British patent 17,307 and 11,717, both in Rubin’s name. The cutaway photo shows a 5.2 x 68 cartridge.